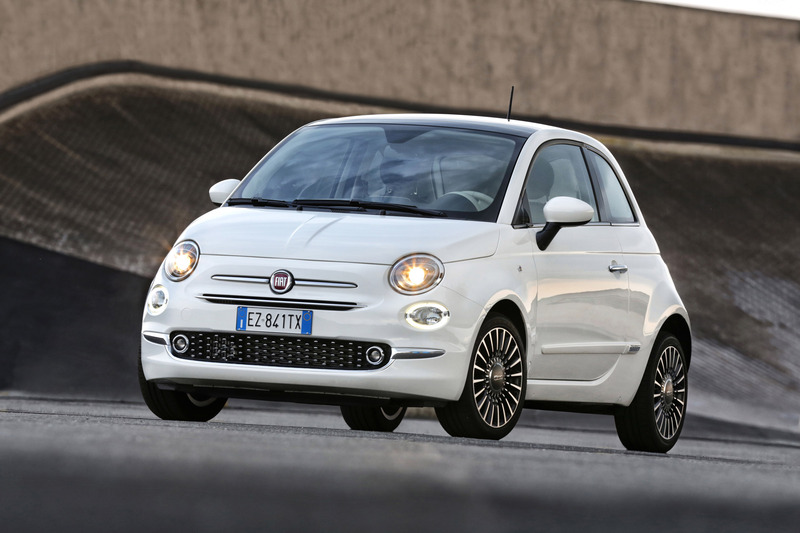 The New 500 is compact: it is 357 centimetres long, 163 centimetres wide, 149 centimetres high and has a 230 centimetre wheelbase. The design of the front and rear ends has been changed while remaining true to itself. 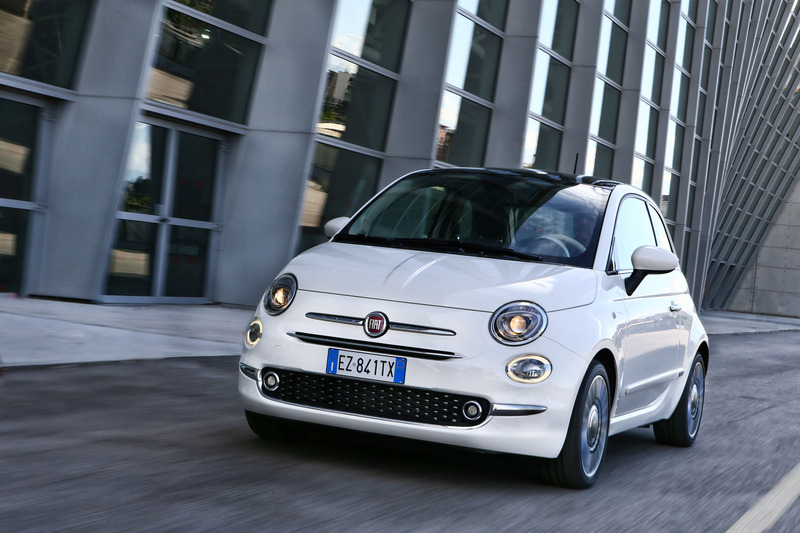 The exterior style of the New 500 expressesall the distinctive elements which traditionally characterised the 1950 classic precursor and today reasserts its identity with more complete technical content. The most obvious reference to the past is in the upper headlights - which are still circular but have a more dynamic slant to convey the look of a more audacious gaze - together with the lower cluster, which combines LED technology for the daytime running lights and the 'whiskers and badge' set. Today, the upper headlights implement an innovative polyellptical module for clear night vision and extra safety: its 'eyes' are always open on the road. The dipped beam headlights and direction indicators are built into the cluster. 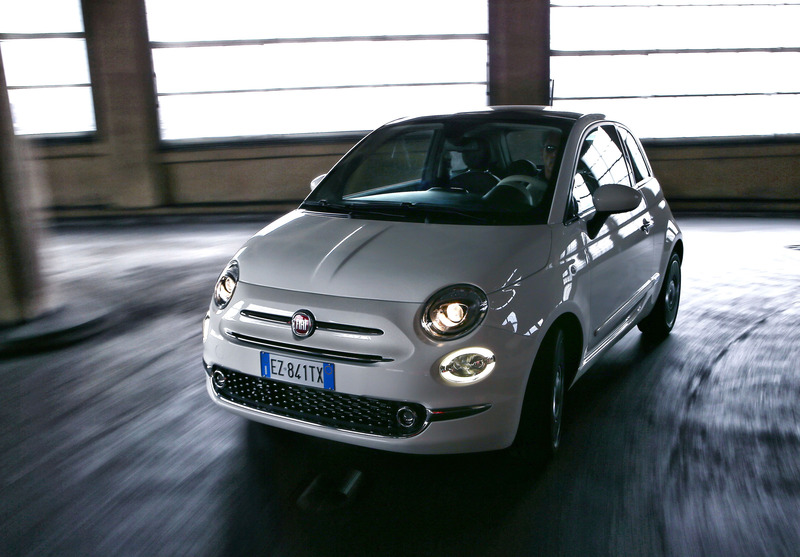 The lower light cluster integrates the main beam headlights, the daytime running lights and the LED side lights, which follow its circular profile. The effect graphically reproduces the zeros of 500. 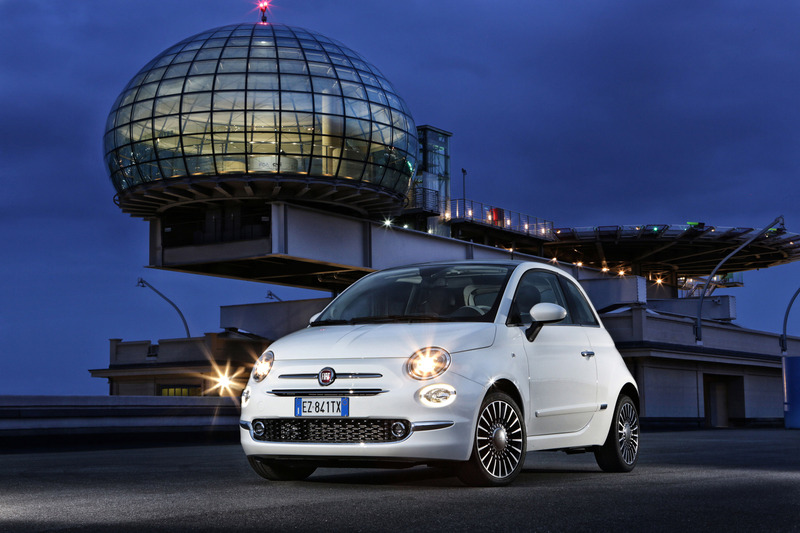 The New 500 will stand out even in the dark with its unmistakable traits. 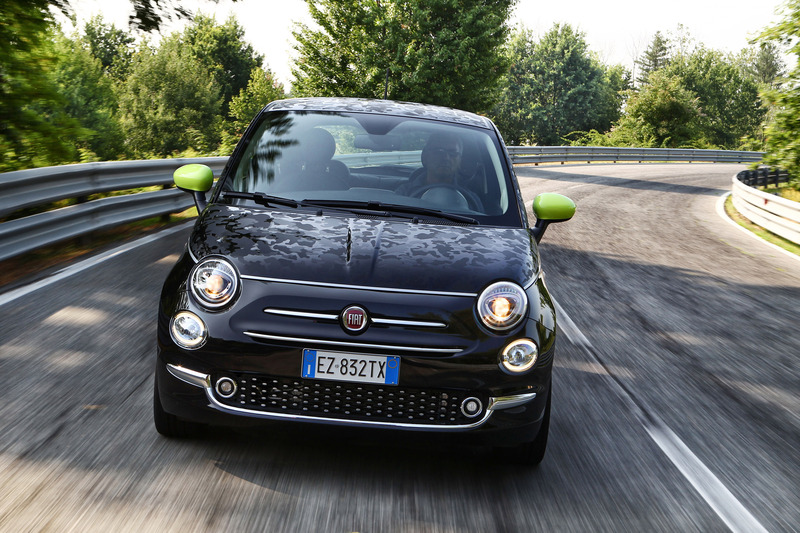 The bonnet has preserved its enveloping shape folding down onto the sides: this typical 500 style element is complemented by the front end with the very harmonious, classic trapezoidal nose sporting the elegant chrome-plated 'whiskers'. 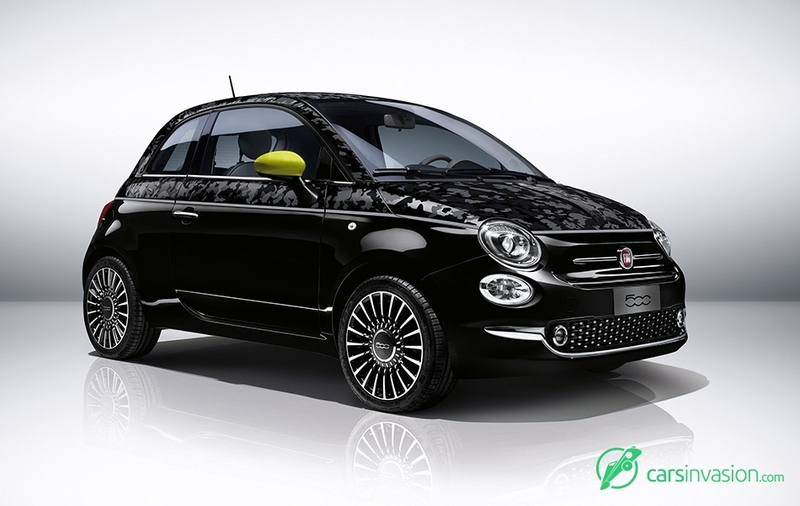 Today, the ribbing is bolder and the auxiliary air vent is a three-dimensional grille with chrome-plated buttons on the Lounge version which adds to the agreeable appearance of the car. At the same time, robustness and strong personality are emphasised by chrome-plated badges which direct the eye to the wheel arches. 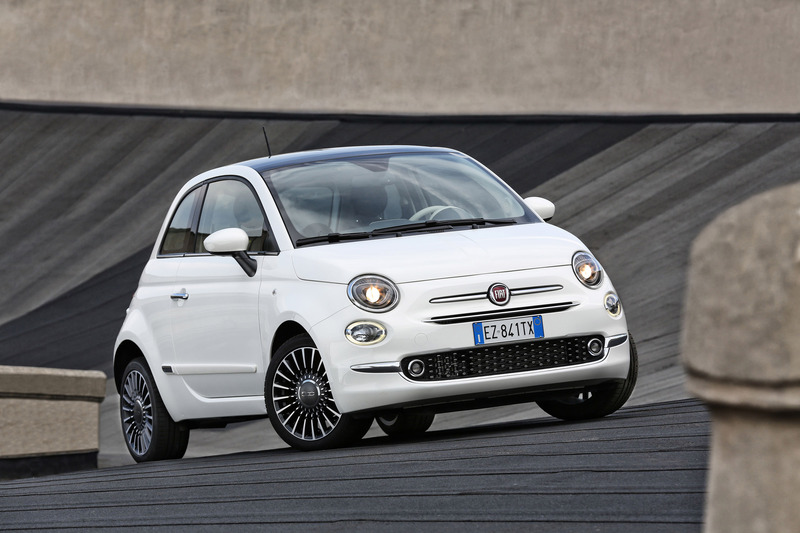 In this way, the New 500 is even more expressive and has a seductive gaze. 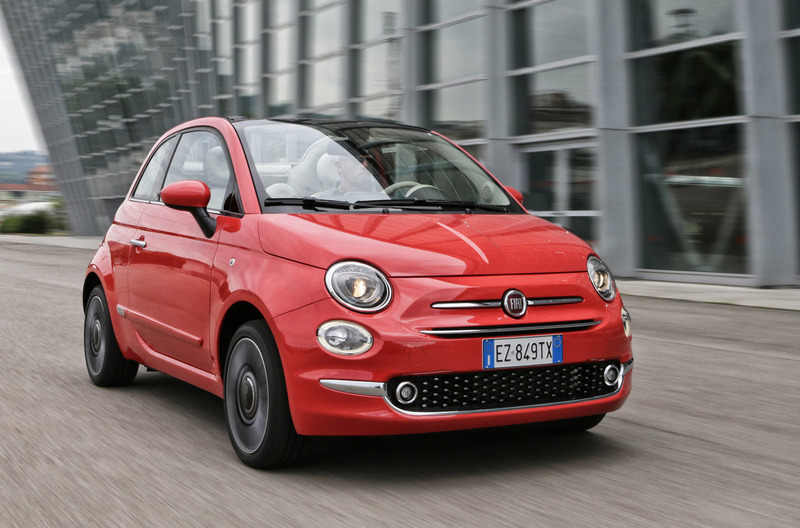 The rear end has a large characteristically shaped chrome-plated handle that is reminiscent of the number plate light of the first Fiat 500 and today fits exclusive new light clusters. It is the only car in its segment to fit 'empty' light clusters - a ring-shaped structure which lets the body colour transpire from the middle - housing the light modules shaped to follow the sinuous profile of the car body degrading from the rear window to the new bumper. In this manner, light emerges from the body drawing nothing short of a 'light tattoo'. The rear fog lights and reversing light are arranged underneath at the ends of a black or chrome-plated thin, dynamic-looking grille. This division is functional and guarantees greater light efficiency. New design alloy rims - 15" and 16", also diamond-finished - are also available. The colour palette features 13 body paints (seven pastel, one three-coat and five metallised), featuring the new Corallo Red and Opera Burgundy. Two striking black-yellow and black-red variants are also available in combination with 'Second Skin', an exclusive customisation offered by the New 500 to satisfy the most different moods and creative needs. 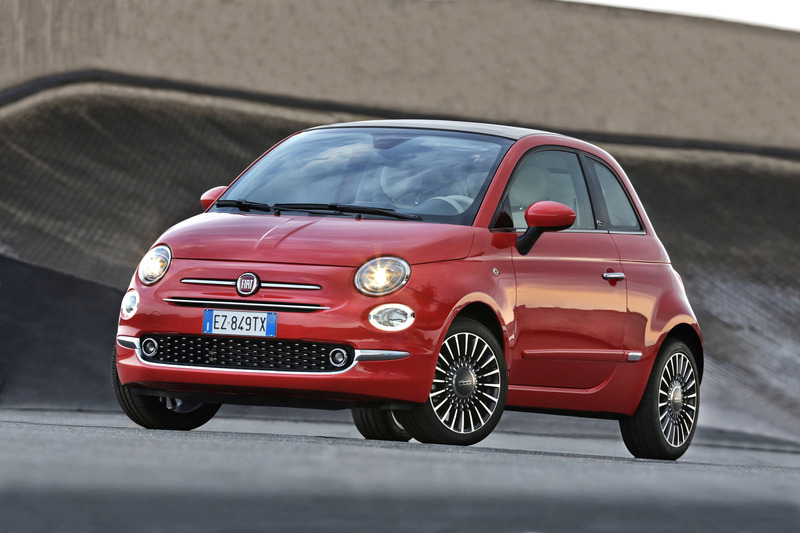 Everyone can tailor the 500 they want and dress it with ever new looks. Walking into a dealership will be a bit like walking into a high-end fashion house. The driver can monitor the data from the speedometer, odometer and trip computer simultaneously at a glance. Moreover, the central section of the display - sporting an image of the car - can be configured by choosing which trip computer data to show, such as distance travelled, instant fuel consumption, range, trip time. Highly visible are also the warning messages, such as doors open, temperature, etc. and the "GSI" (Gear Shift Indicator) system indicator, which advises when to shift gear to maximise fuel-efficiency by switching on a specific symbol. 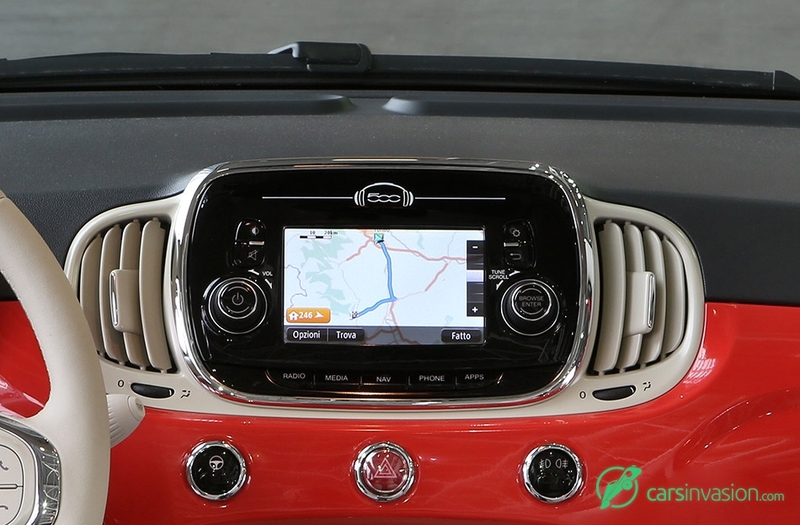 This is all perfectly integrated with the UconnectTM 5" Radio LIVE and UconnectTM 5" Radio Nav LIVE so that the media player, telephone and navigator can share the same screen. 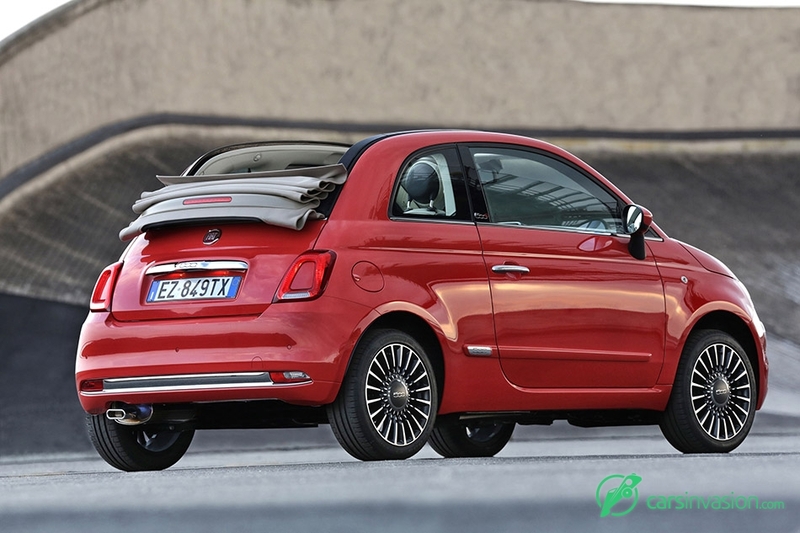 Additionally, the LCD screen shows the Sport button activation signal on the 105 hp 0.9 TwinAir Turbo engine version. The rear seat is very comfortable for two passengers and picks up the design of the front seats. What is more, the upper contour of the backrest emerges from the upper edge to provide more support and shape the backrest more ergonomically and emphasise the actually available space. On the Lounge version, the 50/50 back seat can be split and folded to adapt to all loading needs in the best way. The New 500 Lounge offers UconnectTM 5" Radio LIVE touchscreen, the next frontier of infotainment, as standard equipment. This system implements a wide range of functions, like UconnectTM LIVE and music options offered as standard for five years in addition to FM/AM radio, Bluetooth hands-free system, and voice recognition. The driver can connect multimedia devices via USB or using the 3.5mm auxiliary jack or stream music via Bluetooth using a compatible smartphone. DAB digital radio is available on demand. The system is provided with SMS reader for reading text messages received on compatible telephones using 'text to speech' technology. 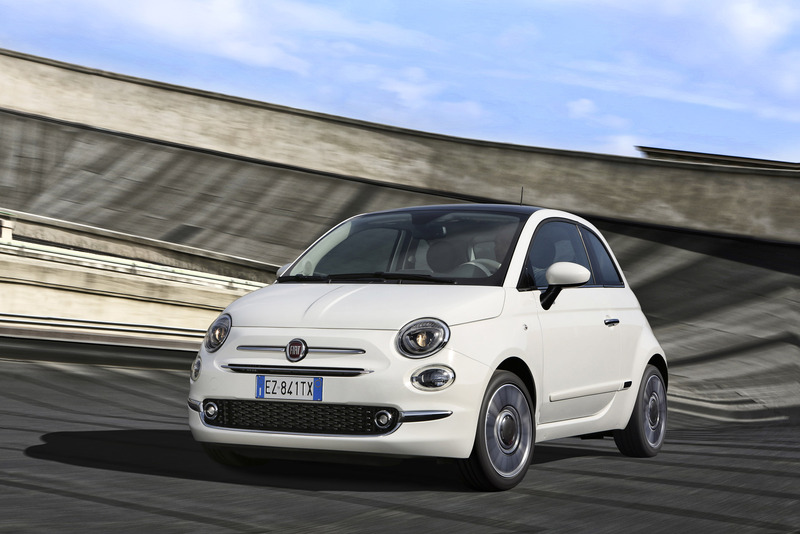 Uconnect TM LIVE services, which are included in the price of the car, are now making their debut on the New 500. The UconnectTM LIVE app can be downloaded from Apple Store or Google Play Store on a smartphone. As soon as the smartphone is connected to the New 500 Lounge, many applications can be viewed and controlled on the touchscreen of the UconnectTM system. The apps have been redesigned and adapted for use while driving to keep concentrated on the road. UconnectTM LIVE will be gradually available in many countries across Europe; today, it is available in Italy, France, Germany, the UK, Spain, Austria, Belgium, Switzerland, the Netherlands and Luxembourg on UconnectTM 5" Radio and Radio Nav for Android and iOS smartphones. UconnectTM LIVE allows direct access on the touchscreen to TuneIn Internet radio, with over 100,000 stations worldwide, Deezer Internet music, with over 35 million tracks for 'Deezer Premium' users, Reuters, to remain updated on the most recent world news, and Facebook and Twitter, to keep in touch with friends. Finally, it can also be used to access eco:Drive, the award winning driving style app which allows to slash fuel consumption by up to 16% and contributes to reducing CO2 emissions by providing driving tips in real time. Furthermore, UconnectTM LIVE connects directly to my:Car with real time warnings, service deadline memos and an interactive owner handbook to manage car maintenance as best as possible. When a smartphone is connected via Bluetooth, the most important warnings are transferred to the UconnectTM LIVE personal account to make servicing easy as never before. 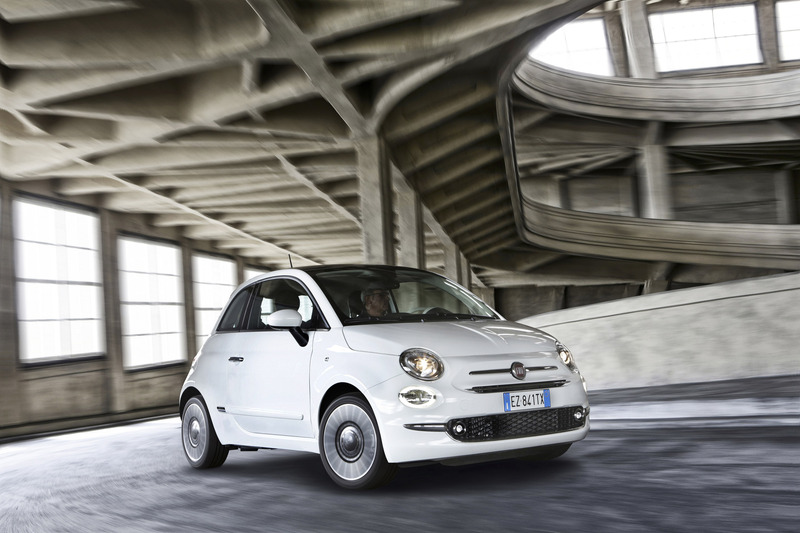 For the first time on a Fiat 500, the embedded infotainment system features the full TomTom experience with fresh maps, a superior routing engine and includes five years of TomTom's Live connected suite of services*: highly accurate world-class traffic service, live speed cameras together with weather alert and a rich local search function for Points of Interest. 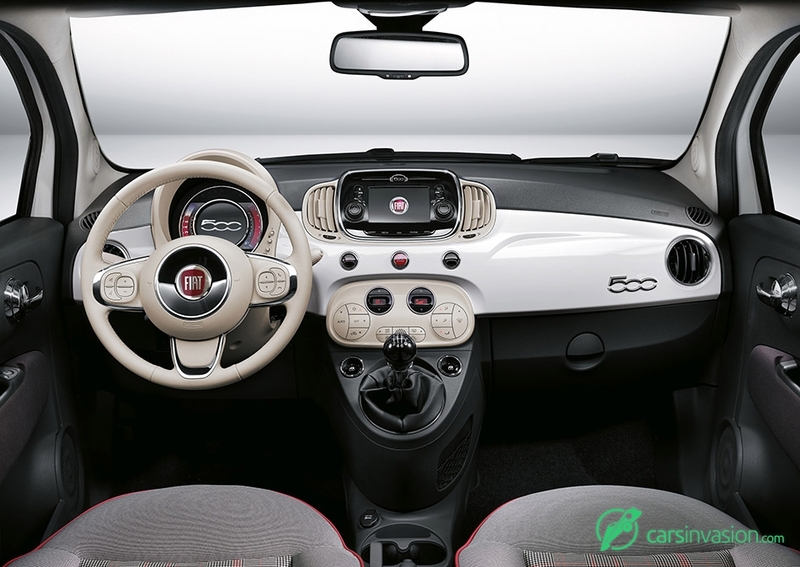 "We are happy to offer to Fiat 500 drivers the best of TomTom connected navigation" said Jan-Maarten de Vries, VP Automotive Product Marketing at TomTom. 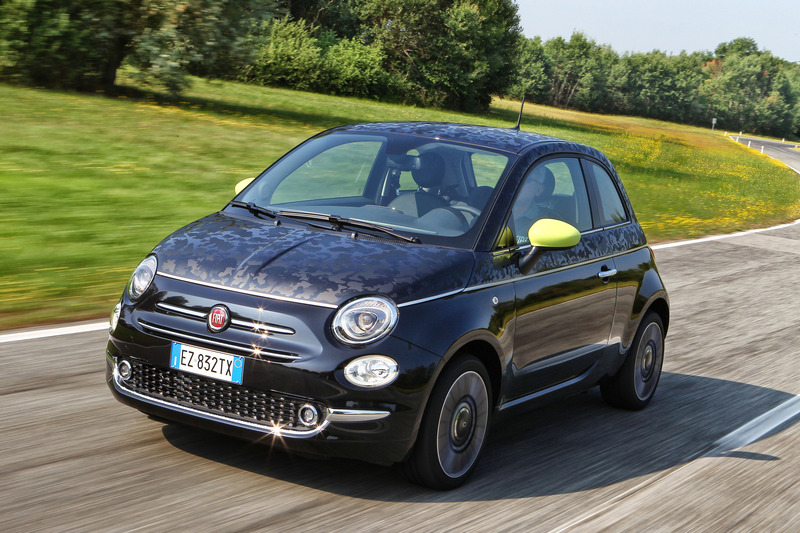 "With our connected services included for five years, this is the most comprehensive package to drivers ever launched in a Fiat 500, helping to make every driver's journey faster and better informed." 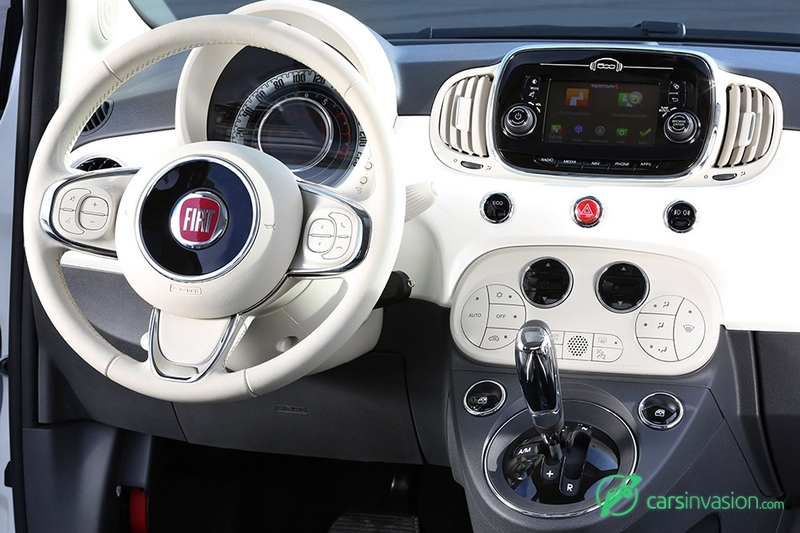 The TomTom connected services, part of FCA's Uconnect™ LIVE offering, are also available on Fiat 500x and will be available on further selected models and countries across Europe. 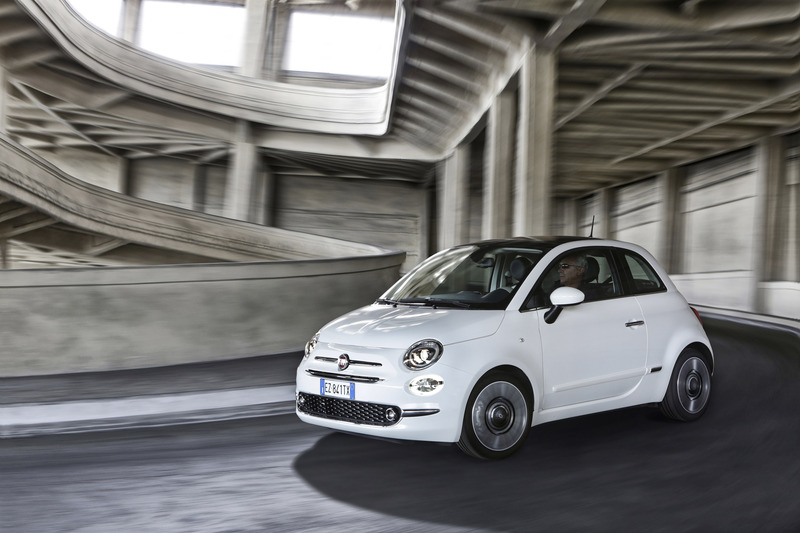 The New 500 range will be expanded after the launch with the 1.2 litre 69 hp in 'Eco' configuration and the 1.3 16v Multijet II 95 hp turbodiesel. More in detail, the first fits a smart alternator, a specific aerodynamic pack and new 14" or 15" tyres which guarantee low rolling resistance and high resistance to wear. These evolutions as a whole translate into real savings on running costs and a sustainable environment impact. One number for all: the CO2 emissions total only 99 grams per kilometre. 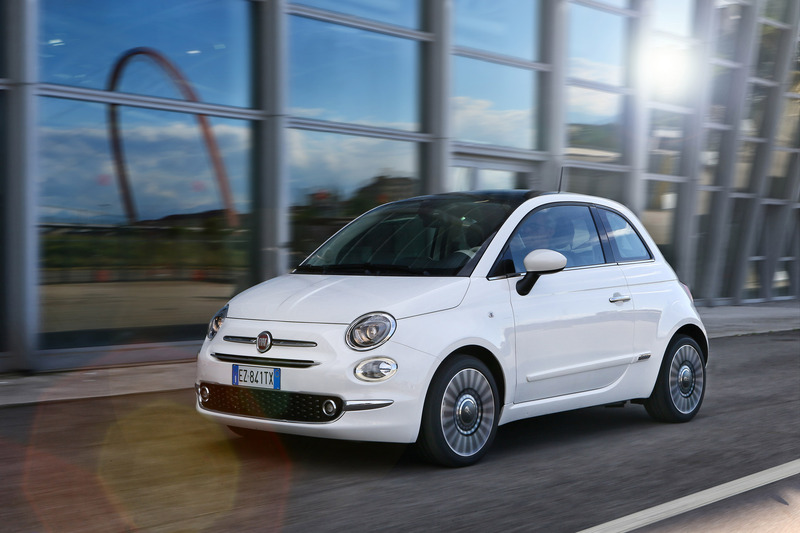 The New 500 is also fitted as standard with seven airbags (two front, two window bags, two side bags and one for knee protection) as standard equipment. The new model also employs the most sophisticated technical solutions to ensure that the driver is in perfect control of the car (active safety): ABS with electronic brake distribution (EBD), advanced electronic stability control (ESC), anti-slip regulation (ASR) system, the Hill Holder devices - which help the driver with hill starts - and hydraulic brake assistance (HBA) to help with emergency stops.